Empty seats, black monitor screens, unexpectedly quiet cubicles: these are signs of “seasonal absence syndrome.” Unlike mail carriers, businesses are unable to operate when unanticipated events like blizzards occur, but what businesses often overlook is that these are regular, seasonal occurrences. Abrupt absences throughout the year follow a pattern: certain times of the year always bring bad weather, and other seasons prompt sicknesses and distractions. The good news is, since businesses can forecast them, they can also better prepare for them. Structured flex work programs can reduce absenteeism and save companies from predictable dips in productivity. Time off requested in advance lets teammates cover their bases, and gives employees time to work ahead before they leave. However, unexpected absences undercut collaborative processes and productivity at work. Missing colleagues and accumulated work slows response times, delays project completion and results in missed deadlines. Even the process of returning to work after only days off prolongs delays. On top of regular adjustments to routines after planned vacations, employees have to tackle work buildup from unplanned time off. To combat absenteeism, some companies offer incentives for attendance, but presenteeism (going into the office under the weather) also substantially drops productivity. About 60 percent of employees will go in with the flu, according to a 2014 Staples survey, and about 26 percent of workers said their productivity dropped to under 50 percent when they go to the office sick. Plus, by coming into work instead of resting, employees not only lengthen their sickness but also spread it around the office. It’s a lose-lose situation. During winter, icy roads trap workers at home, and full-blown snow storms shut down entire cities. The cold weather and lack of holidays creates a general winter lull, as well, tempting unmotivated workers to stay in bed instead of slogging through the workday. Even when spring arrives, absences manifest due to seasonal changes. Sinus season starts, depending on location, when excessive pollen agitates allergies. Employees even call out to catch up on tax season or spring cleaning. Of course, summer’s sunny weather entices workers to take off for playtime, even for those with vacation plans. Fall’s changing weather marks the start of flu season, resulting in either sick workers or parents at home with sick kids. Plus, the holidays kick off, when workers take last-minute time off to decorate, plan, travel, host guests and shop. Every winter, spring, summer and fall, companies scramble for innovative solutions to meet quotas, keep productivity up, and motivate employees, but what appear as sudden absences are really predictable circumstances that companies can prepare for ahead of time by instituting a flexible work policy. PTO policies help companies manage planned time off, and likewise, a flex work policy could account for unplanned time out. Employees could completely avoid missing work due to unexpected events. When severe weather halts transportation, continue business as usual with telecommuting. 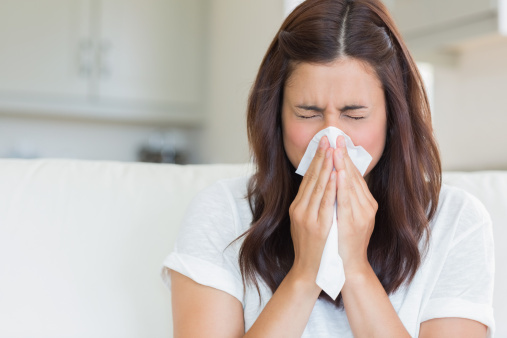 Sick employees still able to work can do so comfortably at home instead of taking PTO or spreading office germs. Workers with sick children can be both care-giver and employee by teleworking. When winter weather lures employees inside, or summer beckons them outdoors, let them go. Unmotivated employees will be more productive meeting virtually from the sofa or working poolside from home. Mobile work arrangements also provide quiet, undisturbed time to work on creative ideas or to plow through more mundane tasks. Some companies already offer flexible summer and holiday schedules, but year-round flexible options also alleviate ongoing absences for individuals with chronic health problems, like sinus infections and migraines. Aside from sicknesses and seasonal events, burnout isn’t uncommon for long-term workers. Flex work and telecommuting are solid solutions to unexpected events like snow storms, but companies cannot fully reap the productivity benefits of those solutions without laying the groundwork for them. Because many “unforeseen” absences can be predicted, it only makes sense to lay that groundwork now by supporting work flexibility. Join the 1 Million for Work Flexibility movement now, and follow PGi’s blog to make your flexible work program a success.